A stunning 3 gang rotary dimmer switch hand forged from solid natural brass and lightly antiqued for an elegant, aged look that will add a touch of contemporary style to any room in your home. Our dimmer switch plates are all, made with a slimline brass or steel backplate that sits flush against the wall, with either a straight bevelled edge for a sleek, modern look to your fittings, or an uneven, hammered edge for a more rustic feel. Jim Lawrence dimmers incorporate 250w trailing edge modules that are suitable for good quality dimmable LED bulbs, incandescent bulbs and dimmable CFL bulbs. They are also compatible with good quality dimmable electronic transformers. The minimum load on the dimmer module is 10w. Each dimmer switch is 2 way which means it can be used for switching lights from either one or two places. For more information on our dimmers and how to fit and programme them, please read our Dimmer Switch Instruction Guide. 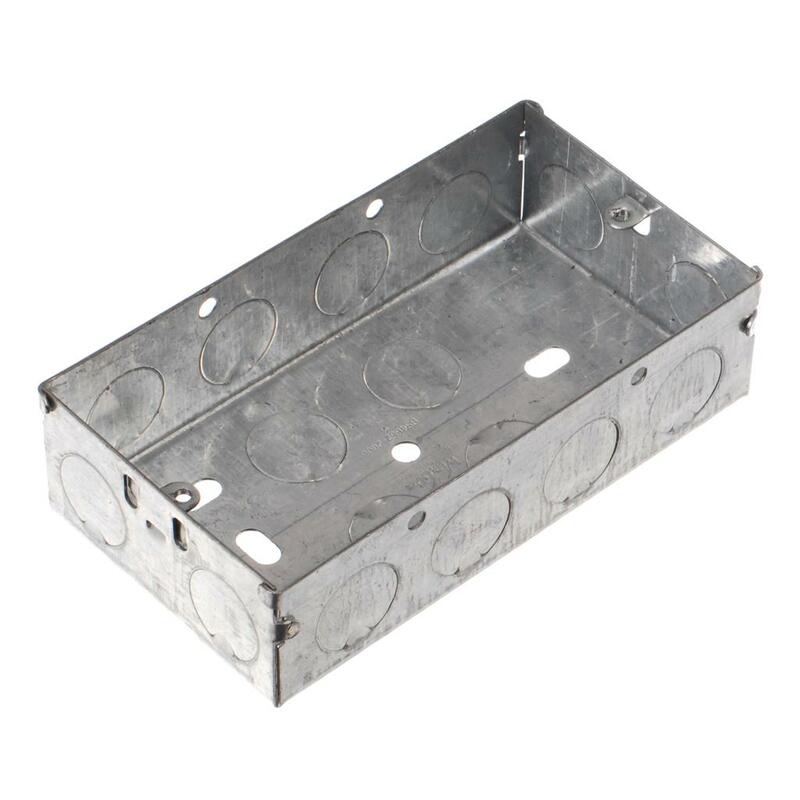 Our range of back boxes and surface mounted boxes to house your switch wiring. For a uniform look throughout your home, try pairing your Jim Lawrence lights with our stunning range of door and window furniture in the same finish, or our electric sockets and switches also available in a wide range of finishes.